When a person is in the market for a new home to live in, they will most likely visit several different apartments or rental homes before deciding on one. 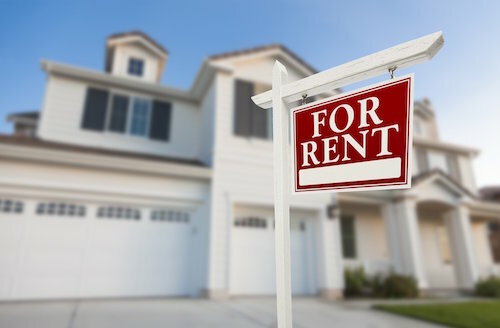 In each of these possible living spaces, the person considering renting will take a few things into consideration – is there enough space, will they have enough storage, does it have all of the amenities that they need? While these things are a given, there is one more thing that the renter contemplates when taking a look around a rental unit – can I imagine this being my home? An apartment or rental home with unappealing walls that need to be repainted right away or it will give off a negative feeling. The space will feel unkempt, old, and honestly, not like someplace a lot of people would choose to live. On the flip side, an apartment with crisp, white walls that are recently painted, warm beige walls that give off the feeling of an inviting space to live, or even walls in a bolder color that was chosen with care will all allow the renter to instantly imagine themselves and their belongings in the home. If you are in charge of the maintenance of an apartment complex or rental unit, it’s essential that you carefully touch up paint between each renter. Stains, smudges, and other flaws in the paint can strongly prevent renters from choosing to call this particular rental space home. It’s also important to keep an eye on paint color trends. While it may not be necessary to change your paint constantly to keep up with the trends each season, it is important to make sure that the unit doesn’t feel dated. It’s also a good choice to go with light, bright colors in an apartment or rental home, especially if it is somewhat small. Darker colors tend to make a space feel more closed in, so this could backfire in an apartment complex or house that is short on space. White, pale yellow, light blue, and other lighter shades will help the space to feel bigger than it truly is. In areas that are limited on natural light it’s even more important to choose a lighter color. Another element to think about is how the color will flow from room to room. Using more than one color is okay, as long as the colors complement each other, but more than two different shades may feel overwhelming in a small space. A neutral color in the majority of the living space, with a color that coordinates with it in the bedroom can be a lovely choice. But different shades in the living, bedroom, bathroom, etc., may make the space have a slightly chaotic feel. If you feel overwhelmed at the thought of choosing the perfect paint color for an apartment or rental home, reach out to a professional painting company in your area. These experienced painters can help you to choose colors that are homey and beautiful, which is exactly what renters are looking for in a new place to rent.